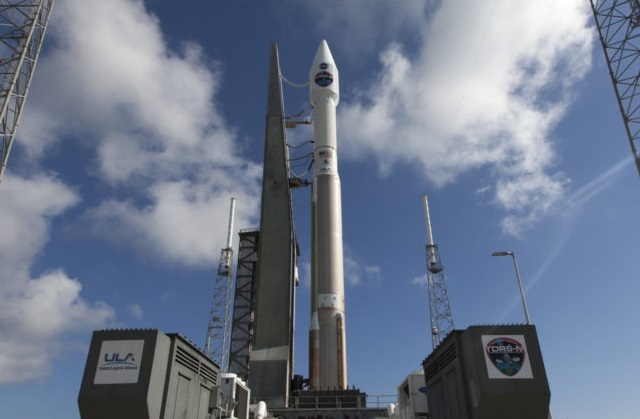 CAPE CANAVERAL, Florida -- Weather chances are 80% 'GO' for Friday's launch of a United Launch Alliance Atlas V 401 configuration rocket carrying NASA’s Tracking and Data Relay Satellite (TDRS)-M from Space Launch Complex 41 at the Cape Canaveral Air Force Station in Florida. The mission has a 40-minute launch window that is scheduled to open at at 8:03 a.m. Eastern Daylight Time on Friday, August 18, 2017. The launch date had been pushed back after the satellite's Omni S-band antenna was damaged during final spacecraft closeout activities last month at Astrotech Space Operations in Titusville, Florida. According to the latest weather forecast from the United States Air Force 45th Weather Squadron, there is an 80% percent chance overall of acceptable weather conditions for Friday's launch. The primary weather concern for launch is thick clouds. The addition of TDRS-M to the Space Network (SN) will provide the ability to support space communication for an additional 15 years. The network consists of TDRS satellites that transmit data to and from ground stations on Earth for NASA missions and expendable launch vehicles. Without the Space Network, scientists, engineers and control room staff would be unable to readily access data from missions like the Hubble Space Telescope and the International Space Station.